What are our statuses of wealth? A sporty car? A swimming pool? Or maybe a beach house? In the time of Pliny the Elder a sure sign of a wealthy status was to wear purple. To colour material purple 2000 years ago required a dye known as Tyrian purple, which at the time cost as much as silver did. 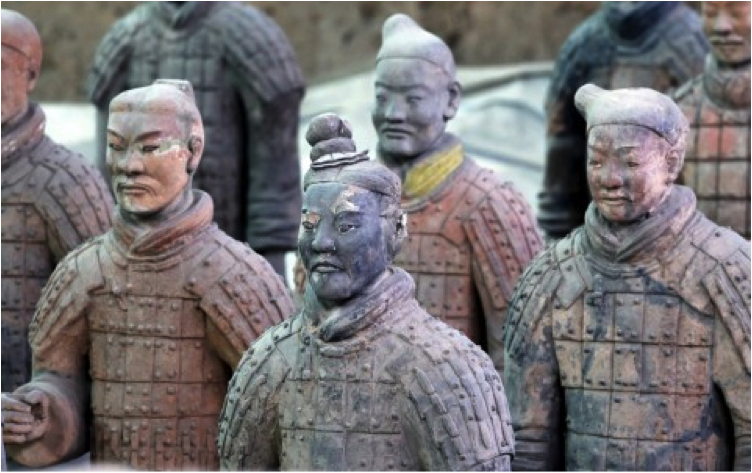 Made from thousands of crushed shells, much of the early production of this material was in the ancient city of Tyre (hence the name). The most favourable season for taking these fish [i.e., shellfish] is after the rising of the Dog-star, or else before spring; for when they have once discharged their waxy secretion, their juices have no consistency: this, however, is a fact unknown in the dyers’ workshops, although it is a point of primary importance. After it is taken, the vein is extracted, which we have previously spoken of, to which it is requisite to add salt, a sextarius [just over 560 grams] about to every hundred pounds of juice. It is sufficient to leave them to steep for a period of three days, and no more, for the fresher they are, the greater virtue there is in the liquor. It is then set to boil in vessels of tin [or lead], and every hundred amphoræ ought to be boiled down to five hundred pounds of dye, by the application of a moderate heat; for which purpose the vessel is placed at the end of a long funnel, which communicates with the furnace; while thus boiling, the liquor is skimmed from time to time, and with it the flesh, which necessarily adheres to the veins. About the tenth day, generally, the whole contents of the cauldron are in a liquified state, upon which a fleece, from which the grease has been cleansed, is plunged into it by way of making trial; but until such time as the colour is found to satisfy the wishes of those preparing it, the liquor is still kept on the boil. The tint that inclines to red is looked upon as inferior to that which is of a blackish hue. The wool is left to lie in soak for five hours, and then, after carding it, it is thrown in again, until it has fully imbibed the colour. Another element of colour and perhaps not such a surprising inclusion in our Rainbow series is sulfur. Sulfur really stands out as the element with the most currently known allotropes, standing at 30 currently. Like carbon can come in graphite, diamond and buckyballs, the different structures of sulfur are contrasted by the rings that the sulfur atoms can from. There has been observations of 6, 7 and even 16 member rings making up the basis of the large number of allotropes. 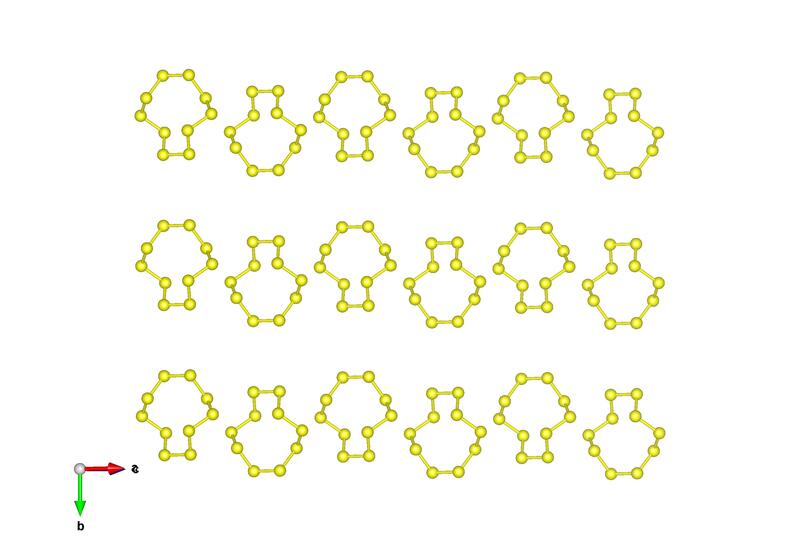 A ring ten of sulfur atoms (cyclodecasulfur) which we’ve chose to feature was discovered in 1968. 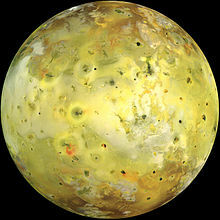 This large range of sulfur compound could be the explanation for the large range of yellows we see on the surface of Jupiter’s moon Io. Carotenoids are natural pigments that are found in plants and some bacteria – generally we animals don’t produce them so have to get our quota of carotenoids from eating the producers! There are over 600 types of carotenoids, in humans, beta caratone is useful for the production of retinal. To gain further insight into the conformation colour relationships in marine crustacea , research led by Dr Madeleine Helliwell set about crystallising and determining the crystal structures of free carotenoids [2,3]. From these X-ray crystal structures variations were seen in the free carotenoid C5-C6-C7-C8 torsion angle for zeaxanthin (-75º) and the trans-astaxanthin ester (178º), and differences in colours of the crystalline solids arose from the variation of the degree of conjugation into the end rings and thereby their colours. 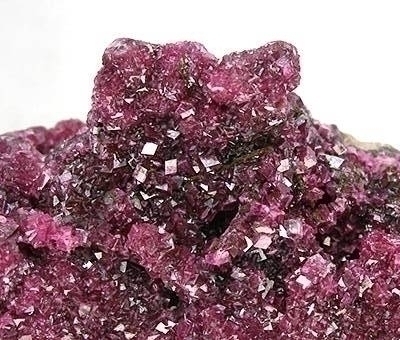 Giuditta Bartalucci  synthesised the diester of astaxanthin and then grew crystals where she found both s-cis and s-trans configurations! There were colour differences between them. The different colours of astaxanthin depending on the conformation of the molecule. 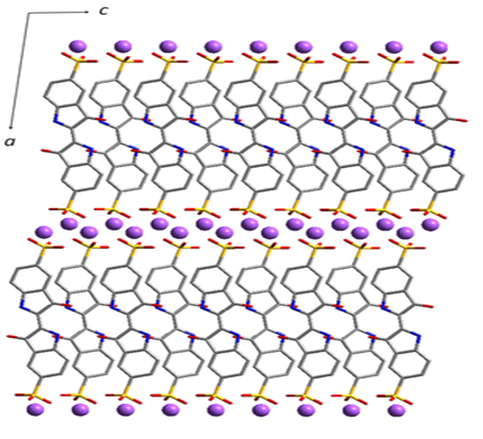 In summary the ensemble of crystal structures in refs [2,3] allowed tests of the effect of carotenoid conformation, as well as their crystal-packing arrangements, and to some extent the effect of solvation, on the colours of the crystals. However all the samples studied in [2,3] were red in hue and not the blue colour of beta crustacyanin . M. Cianci, P.J. Rizkallah, A. Olczak, J. Raftery, N.E. Chayen, P.F. Zagalsky and J.R. Helliwell “The molecular basis of the coloration mechanism in lobster shell: β-crustacyanin at 3.2 A resolution” (2002) PNAS USA 99, 9795-9800. 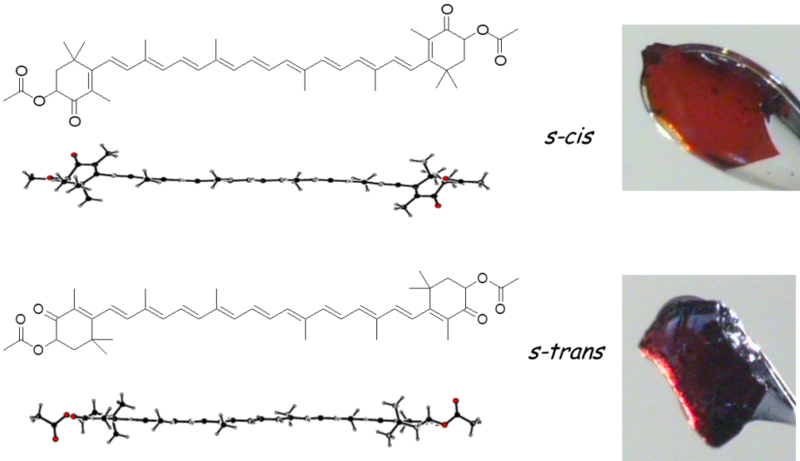 G Bartalucci, J Coppin, S Fisher, G Hall, J R Helliwell, M Helliwell and S Liaaen-Jensen “Unravelling the Chemical Basis of The Bathochromic Shift in the Lobster Carapace; New Crystal Structures of Unbound Astaxanthin, Canthaxanthin and Zeaxanthin” Acta Cryst B 2007 B63, 328-337. G. Bartalucci, S. Fisher, J.R. Helliwell, M. Helliwell1, S. Liaaen-Jensen, J.E. Warren and J. Wilkinson “X-ray crystal structures of diacetates of 6-s-cis and 6-s-trans astaxanthin and of 7,8-didehydroastaxanthin and 7,8,7’,8’-tetradehydroastaxanthin: comparison with free and protein bound astaxanthins’ Acta Cryst (2009) B65, 238-247.